What's this? What's this? A Nightmare Before Christmas Vinimate? 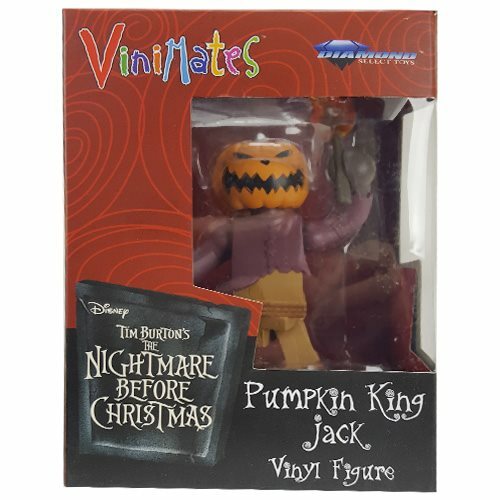 This 4-inch vinyl figure of Pumpkin King is based on Tim Burton's The Nightmare Before Christmas, stop-motion classic movie. Pumpkin King is sculpted in the Minimates block-figure style, striking a pose straight from the movie. Pumpkin King features an articulated neck for additional posing options. Comes packaged in a full-color window box.